Digital wallets continue to look for some respect. After kicking around for years, a mere 16% of consumers have ever used a digital wallet, based on a new study. Even worse, consumer awareness and understanding of digital wallets is low, according to the study conducted by Forrester Research for JPMorgan Chase. The study, ‘The Intersection of Payments and Commerce in a Digital World,’ comprised an online survey of 1,500 U.S. adults who go online at least weekly, and a survey of 800 merchants responsible for their company’s payment decisions. Digital wallets have plenty of benefits, such as reducing the need to carry cash or credit cards, remember multiple passwords or PINs, creating a digital transaction trail and linking loyalty deals. In addition to the low consumer adoption, just over a third (36%) of merchants currently accept digital wallets. As in various other areas of technology-fueled behavioral change, security is an issue. Of those who have not used digital wallets, almost half (46%) cited security as the reason why. In another study involving mobile payments, fewer than a third (30%) of consumers in the U.S. totally trusted their bank to protect their personal information concerning mobile wallets. That study, by ACI Worldwide, comprised a survey of 6,000 consumers in 20 countries, as I wrote about here at the time (80% Feel Comfortable With Mobile Wallet Security; 94% in U.S.). For shopping in stores, about a third (32%) of consumers don’t trust the stores to protect their data, based on the ACI Worldwide study. Merchants also are responsible for less than stellar mobile wallet usage. 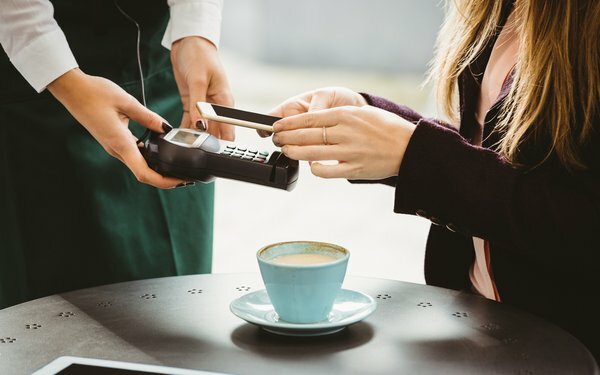 More than a third (39%) of businesses with less than $20 million in annual revenue say that upgrading for digital wallets would be costly and their customers are not asking for it. Despite the roadblocks, Forrester projects that over the next few years, U.S. mobile users will spend $142 billion via mobile payments, up from $52 billion in 2014. The future looks a bit brighter for digital wallets, with 69% of merchants and 41% of consumers expecting the majority of their payments to be via digital wallets five years from now. An interesting finding in the study is the profile of those who use digital wallets compared to those who don’t. Of those who do, 74% say that technology is important to them, 71% like to be connected at all times and 68% like trying new applications on their mobile phone. Conversely, of those not using mobile wallets, 47% say technology is important to them, 42% like to be connected at all times and 34% like trying new applications on their mobile phone. For the longer term, it looks like mobile wallets have a window. In 20 years, 40% of consumers think cash will be obsolete, as do 44% of merchants. It may take some time, but digital wallets still may see their day.